Iran is in turmoil, and it’s due to the policies of President Donald Trump. The cities of Tehran, Shahr-e Rey, Tabriz, Qeshm, Karaj and others are witnessing store-owners closing their shops from early Monday morning, reports from sources inside the country indicate. This new strike follows a recent nosedive of Iran’s currency, the rial, reaching 115,000 rials to the U.S. dollar. On Sunday night, a number of bazaar merchants issued statements calling on their colleagues to stage a new round of strikes. People on social media are welcoming these measures, emphasizing the status quo is no longer acceptable. I mentioned not long ago that Iran’s currency is taking a beating. I actually saw a report that the rial was not at 115,000 to one U.S. but actually was at 230,000 to the U.S. dollar. 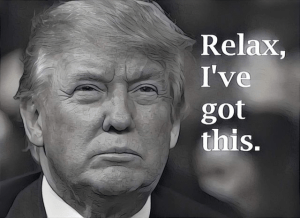 Simply put: President Trump has the rogue nation right where he wants them. So why not meet with Iran to teach them the art of the deal, as President Trump suggests he will do. President Trump declared Monday that he is willing to meet Iranian President Hassan Rouhani anytime and without preconditions, saying that he believes it is always better to meet with adversaries. 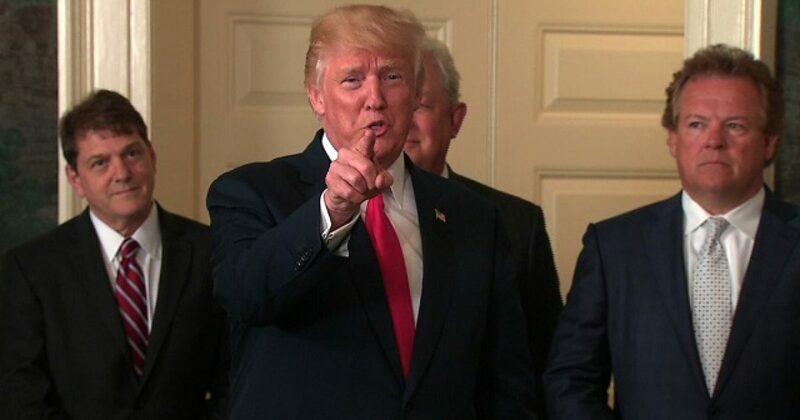 Trump was responding to a question at a joint news conference at the White House with Italian Prime Minister Giuseppe Conte. Last week, tension between the United States and Iran escalated after Trump appeared to threaten military action against Iran in a tweet and Iranian officials vowed to resist any attempt to destabilize their country. As we’ve learned with Trump, America has nothing to lose in these negotiations and everything to gain. How pathetic is that, that America has been taken advantage of in every aspect of foreign policy. I put the blame on the previous administration, as Obama had ample opportunity to set a different course for American foreign policy and he punted the football. Thankfully, Trump recognized the abject ignorance displayed by Obama and righted the ship. And Trump is straightening out Iran without firing a bullet. If anybody believes the Iranian currency has devalued by 75 percent by accident, you don’t know how things work. While Donald Trump couldn’t take the blood money Obama gave Iran back, he could do something almost as good–make sure the money had no value. So now the billions Iran received from Obama have been rendered down to millions. And given all the country’s internal woes, they will be forced to re-evaluate the amount of money the can continue to pour into Syria and elsewhere. July 25, 2018 – The new round of the truck drivers’ strike entered its third consecutive day on Wednesday. To this day a total of 85 cities in 25 provinces have joined this strike. Truck drivers in various parts of Tehran and the cities of Isfahan, Najaf Abad, Karaj, Bandar Abbas, Saveh, Khaf, Zanjan, Semnan, Shahroud, Shiraz, Farrokhshah, Kermanshah, Kerman, Zahedan, Malayer, Khorramshahr, Khorramabad, Bojnurd, Yazd, Port Khomeini, Shahr-e Kord, Khur Mousa, Abdulkhan and dozens of other cities have truck drivers on strike. Authorities in Kermanshah were pressuring truck drivers to end their strike, only to face stiff resistance by their part. Intelligence agents and police officers in this city began taking stripping license plates off parked trucks in order to force the drivers to end their strike. The family members of the truck drivers began protesting these illegal measures. In Mashhad, the loading terminal station was completely empty and no truck was at the scene to deliver any goods. Truck drivers in Isfahan were seen protesting those drivers breaking their ranks, demanding they continue their strike. This new round of the truckers’ strike began on Monday in many cities and towns across the country. Many provinces, including Tehran, East Azarbaijan, Kurdistan, Isfahan, Fars, Semnan, Qazvin, Kerman, Kermanshah, Lorestan, Central (Tehran), Khorasan Razavi, Chahar-Mahal & Bakhtiari, Khuzestan, and Hormozgan were scenes of such strikes. Soleimani on Thursday expressed his fear of the PMOI’s role and the President elect of the Iranian Resistance, and described US policy toward Iran as being reliant only on the PMOI and Maryam Rajavi. With this, Soleimani expressed his fear of the rising credibility of the Resistance inside and outside Iran, as well as the regime’s fear of increasing international pressure and isolation. “There is not a single night that we go to bed without thinking of your destruction,” he added. Clearly the Iranian leadership worries about what might happen next. From this vantage point, it’s evident that things have changed in Iran. The idea of President Trump even tangentially mentioning that he will meet with Iran, signals to me that he has received back-channel communications requesting as much. Russia’s chief Syria negotiator said in an interview Wednesday that his country has convinced the Iranian forces in Syria to withdraw to at least 85 kilometers (53 miles) from the Israeli border, despite Israel’s insistence that no Iranian troops be permitted anywhere in the war-torn country. It was not clear what prompted him to say this as Israel has repeatedly and forcefully stated that it will not accept any Iranian presence at all in Syria. Last week it rejected a Russian proposal to keep Iranian forces in Syria 100 kilometers (62 miles) away from Israel’s northern border, a senior Israeli official said, moments after a meeting between Russian Foreign Minister Sergey Lavrov and Prime Minister Benjamin Netanyahu concluded in Jerusalem. Prime Minister Benjamin Netanyahu met this evening at the Prime Minister’s Office with a Russian delegation led by Foreign Minister Sergei Lavrov and Chief of the General Staff of the Armed Forces Valery Gerasimov. Israel is sticking to its demand that Iran not be allowed any military foothold in Syria, the official stressed. Israel is furthermore demanding that all long-range missiles be removed from the country and that any factories producing precision-guided missiles there be shut, the official said. Earlier this month, during a call between Netanyahu and Russian President Vladimir Putin, the prime minister noted “that Israel would continue to act against the establishment of an Iranian military presence in Syria,” according to a statement from his office. Netanyahu has spoken and met with Putin regularly in recent years about Syria and military coordination between the two countries there, most recently during his visit to Moscow last week. Along with Iran, Russian forces are backing the regime of President Bashar Assad in the country’s civil war. On Monday Russia’s ambassador to Israel Anatoly Viktorov told Channel 10 news that the Iranians were “playing a very, very important role in our common and joint efforts to eliminate terrorists in Syria. Like Iran, Russia is providing military backing Assad with backing in the Syrian civil war. 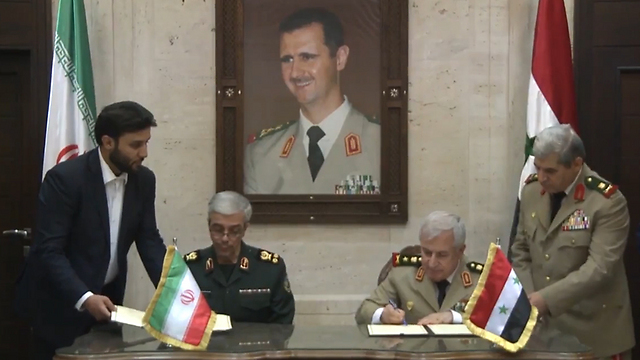 “The Iranian presence in Syria… is fully legitimate according to the UN principles and the UN charter,” he added. 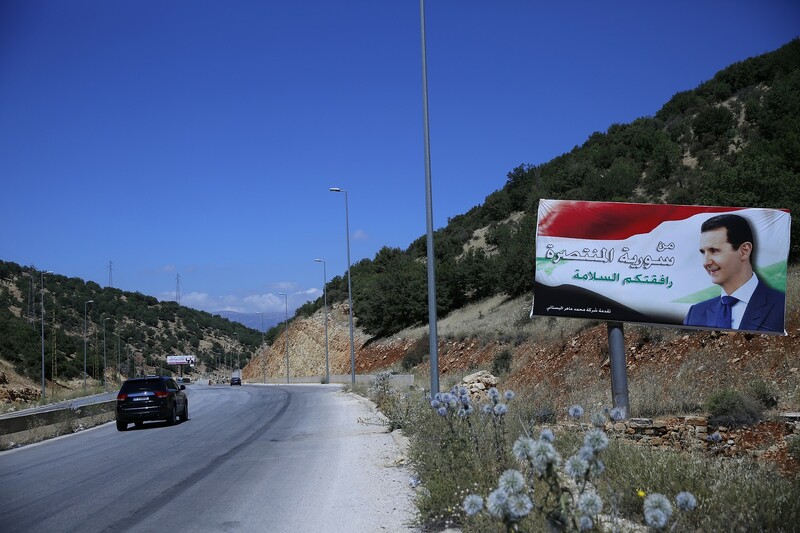 The Syrian army and its Russian and Iran-backed allies since June have been on an offensive in southern Syria, raising concerns Iranian proxies could take up positions in formerly rebel-held areas bordering the Golan Heights. Israel has called for the 1974 disengagement agreement between it and Syria to be upheld and warned Syrian forces against entering the demilitarized buffer zone along the border. These were no meaningless, off-the-cuff comments, as Trump’s utterances are often treated by news media, including those of Israel – until they are fed official briefings. They offered a window to a solid diplomatic process that was quietly gaining momentum. From early June, US and Iranian emissaries have been holding exploratory talks through Oman’s good offices. Israel’s diplomatic and intelligence eyes and ears missed what was going on, because they took it for granted that the Trump administration would not embrace an initiative as far-reaching as this without letting Jerusalem know. But that’s exactly what happened. Israel should have been alerted by the comings and goings of Omani Foreign Minister Yusuf bin Alawi bin Abdullah between Washington and Tehran, and Iranian Foreign Minister Muhamed Javad Zarif’s visit to Muscat in early July. The two ministers were the live wires in the two years of back-door diplomacy which culminated in the Obama administration signing the 2015 nuclear deal with Iran. On Monday, July 30, DEBKAfile first revealed that such contacts were afoot under the caption: “Iran secretly explores Trump’s terms for negotiating new nuclear deal.” The next day Trump said quite openly that he was ready to meet President Hassan Rouhani with no prior conditions. Did the Trump administration let Israel know about the start of secret diplomatic exchanges with Iran for setting up negotiations on an amended nuclear pact that would also cover ballistic missiles and other issues? Or was Jerusalem left in the dark? DEBKAfile’s sources believe that the first heads-up came from the White House no earlier than Tuesday night, i.e., two months after the process began. Even that single sentence contained an inaccuracy. The very fact that Trump is willing to sit down with Rouhani is in itself a change of policy. Negotiations inevitably lead the parties concerned into policy changes for the sake of reaching common ground. So what will the American side cede for an accord? At the same time, it may be noted that, along with Trump’s liking for summits with America’s adversaries, he did not lift the tough US sanctions on North Korea before meeting Kim in Singapore, or on Russia, before sitting down with President Vladimir Putin in Helsinki. The process with Iran may, or may not, turn out differently. ANALYSIS: As the Syrian civil war draws to a close, it is clear Iran plans to use Hezbollah to do its bidding there • The Shiite terrorist group is already importing its tactics from Lebanon to Syria, making Israel’s northern sector highly volatile. The Syrian army is expected to complete its takeover of the country’s southwest, near the border with Israel, in the next day or two. This will allegedly restore a familiar situation, in which Syria’s regime is once again stable, even if under the auspices of Russia. This would seem to be an ideal situation, especially if reality on the ground reverts to the one that existed before the civil war began in 2011, when Syria and Israel both adhered to the 1974 cease-fire agreement in full. This would restore peace and quiet to the Golan Heights, which could once again become Israel’s most tranquil frontier. The key word here is “if.” Unfortunately, the chances of this becoming reality are slim. The Syrian army may regain control on the ground, but it will not be the only armed presence near the border. Russia will be there too, and its presence is both a blessing and a curse. The Russian presence, ostensibly meant to inspire restraint on all sides, will only be effective if Russia agrees to act on Israeli intelligence and thwart anti-Israeli incidents. But if the Russians prove to be a modern version of the United Nations Interim Force in Lebanon, which sees no evil, hears no evil and speaks no evil, Israel will find itself in a predicament, as Russia’s presence will make it difficult for Israel to act independently. Russia, however, is the easy part. The bigger problems are Iran and its proxy, Hezbollah. Iranian forces are unlikely to be able to reach the Syria-Israel border – Israel, Russia, and even Syria, which would prefer not to be dragged into a conflict with Israel, will work to prevent that from happening. Israel insists on the complete removal of Iranian forces from Syria, which is unlikely to happen. The last Russian offer on that issue was to keep Iran 100 kilometers (62 miles) from the border. This can be used as a starting point for negotiations, but those will be exhausted sooner, rather than later. Hezbollah is a different story. 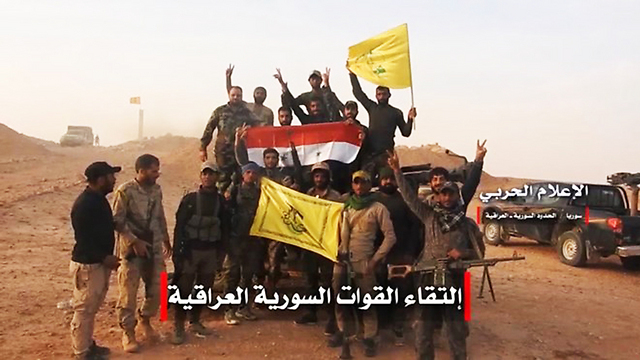 The Iranian-backed Shiite terrorist group is already in Syria. Its operatives are fighting alongside the Syrian army and it has several hundred local villagers on its payroll, who engage in intelligence gathering. This was a strategic decision by Hezbollah leader Hassan Nasrallah, who wants to turn the Golan border into an active war zone with Israel. Hezbollah is likely to employ its familiar methods: joining local militias, importing its tactical abilities – anti-tank missiles, explosives and snipers – from Lebanon, and importing troops. The first stage has already been completed, the second stage is in full swing and, unless Hezbollah is stopped, the third stage will become a reality in a few short years. Stopping Hezbollah in its tracks is Israel’s main challenge and doing so will become exponentially more difficult once the Syrian civil war officially ends. Until now, Israel has been able to use the chaos north of the border to eliminate any risk from that direction, but once the war ends, any use of force would have to be justified to others. Legitimizing Israeli operations on this front is likely to become far more complex and the risk for a security escalation will be greater. This will require Israel to use more carrots and sticks opposite everyone involved, as well as adamantly enforce its red lines. Israel will soon also cease the humanitarian aid campaign it has been carrying out on the border. The IDF hopes that the United Nations Disengagement Observer Force stationed in the buffer zone between Israel and Syria will be able to resume its operations in full, both lending a hand to the local Syrian population and providing them with an incentive not to back the anti-Israeli elements in the area. ART: Tommy Robinson is free! The UK’s leading critic of Islam Tommy Robinson has had his appeal against a 13-month sentence because of “contempt of court” success and is now on the loose! Lord Justice Burnett and two other judges sat today in London, the prison on bail. “The appellant is granted bail and the prosecution Due contempt of court in Leeds will be renegotiated,” the judge ruled today . Robinson (Civic: Tommy Robinson) was not present in the courtroom. His supporters cheered. His lawyer Jeremy Your had argued in court that at Robinsons flash condemnation in May “procedural errors” due to “prejudice” were committed. According to Your was the 13-month sentence for journalism on public property “clearly disproportionate”. The Court dismissed this argument. Robinson is immediately released today and is expected with his family today. Robinson had written in June from prison a moving letter to his family ( jouwatch reported ). His team wrote on Facebook : “Tommy just called his family from prison to ask what was the result. He said his fellow inmates called already that he was free, but did not want to believe it. He is now in seventh heaven! They had booked a family holiday this Friday, which means he can ride and finally spend time with his family now. – The law cited refers to interference in the court. However, Robinson was located on public property outside the courthouse. – Robinson was aware of its obligations and has meticulously careful to use only information that was already known in the press. – Robinson was arrested for “disorderly conduct”, but condemned for violating his parole. The alleged “disorderly conduct” never came back to the language. – Robinson was told that he would not call his lawyer, it was not all that bad. Then him a public defender assigned, who advised him to plead guilty, then he would be free. Tommy has pleaded guilty and was jailed for 13 months. AFD-Bundestagsabgeordenter Petr Bystron had Robinson offered asylum in Germany and described him as “political prisoners”. Nevertheless, the federal government, the European Human Rights Commissioner and groups like Amnesty International and Human Rights Watch refused to work for the most prominent political prisoner in Europe, as Bystron inviting her . Russia and Israel have reached an agreement to remove Iranian forces in Syria to within 85 kilometers of the Golan Heights border, Russia’s special envoy for Syria told the Sputnik news agency on Wednesday. “As we took into account the Israeli concerns, we managed to attain the pullout of Iranian units 85 kilometers (some 53 miles) from the Israeli border,” Russian Presidential Special Envoy for Syria Alexander Lavrentyev said.Lavrentyev also noted Moscow believes Israeli concerns over the presence of Iran and its proxies near the Golan border are decreasing. “Yes, of course, we are certain of this,” he told Sputnik in response to a question about it. Last month, Israel rejected a Russian offer to keep Iranian forces in Syria 100 km (62 miles) from the border, with Prime Minister Benjamin Netanyahu reportedly telling Russian Foreign Minister Sergei Lavrov that it was not enough. “We will not allow the Iranians to establish themselves even 100 kilometers from the border,” Netanyahu told Lavrov, according to an Israeli official who spoke on condition of anonymity. “The Russians are speaking about (the 100-km buffer zone) and are committed to it, but we said there are also long-range weapons beyond this zone, and all those forces must leave Syria,” the official said. Even before that, Israel had turned down a proposal by Russia, the big-power backer of Syrian President Bashar Assad, that Iranian forces be kept 80 km from the frontier. Russia has warned it would be unrealistic to expect Iran to fully withdraw from the country. However, Moscow has said it wants to see the separation of forces on the frontier preserved. One of the New York Times reporters was invited by Israel to review the documents stolen from the Iranian nuclear archive by the Mossad. The article describes in detail, not only the nature of the documents—which prove Iran’s intention on building a nuclear bomb, but also the intricate mission Mossad agents had to embark upon in order to obtain them. The Mossad agents who broke into Iran’s secret nuclear archives in the heart of Tehran came equipped with high powered welding torches to burn through 32 safes and extract classified documents proving Tehran had lied and was intent on building a bomb, according to a report in the New York Times Sunday. 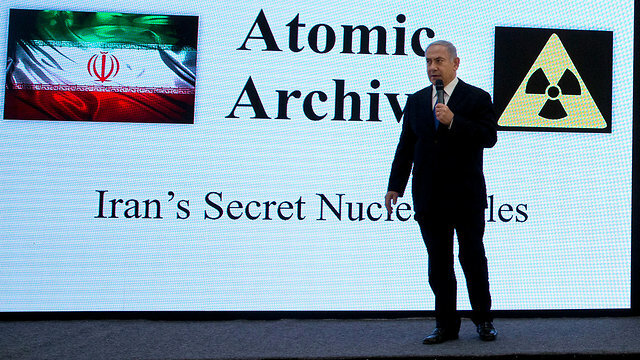 Shortly before US President Donald Trump withdrew from the 2015 Iran nuclear accord, Prime Minister Benjamin Netanyahu called a press conference in late April to announce the stealth Mossad mission. In early July, the Israeli government invited three reporters to review some of the documents confirming that the Iranian nuclear program was not solely for peaceful purposes as the Iranians had always insisted. David E. Sanger and Ronen Bergman of the New York Times now release new details from the daring operation. Iran insists that the documents are a part of a fraudulent scheme by Israel to pressure the Trump administration to re-impose the crippling economic sanctions that brought it to the table in the first place. But Israel has since shown the documents to British and American intelligence officials, and they agree that they are genuine. 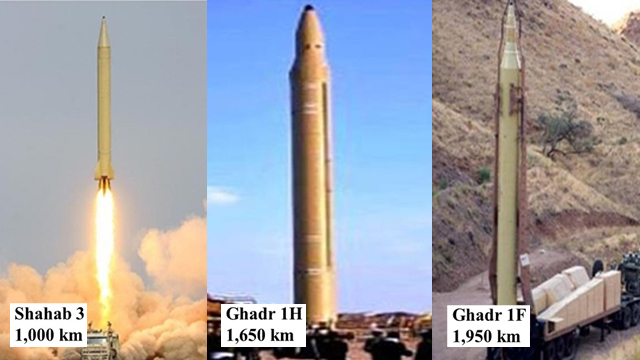 The documents deal with Iran’s nuclear missile program, which would allow Iran to launch a nuclear-armed Shahab-3 missile, with a range of 2,000 km., far enough to hit Israel. Other documents deal with potential sites for underground nuclear weapon tests. According to The New York Times, the Mossad mission took place on the night of January 31, with the agents arriving at the archive’s site about 10:30pm. Iranian guards were scheduled to arrive at their posts at 7am and the agents were warned to complete their mission before 5am. When they made their exit, they were carrying some 50,000 pages and 163 CDs detailing the Iranian nuclear plans. They no doubt had inside help. They knew the workings of the alarm system and exactly which safes to target. 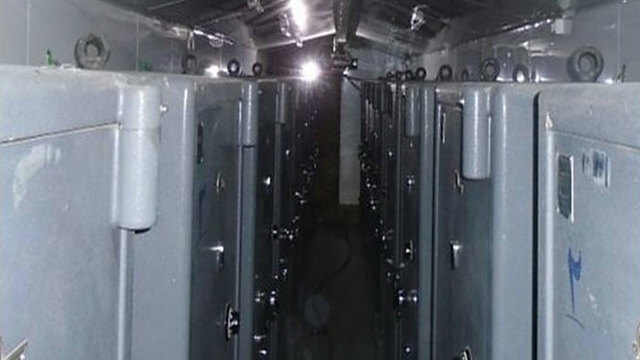 After a year of surveillance, the Israeli agents determined that they had six hours and 29 minutes to disable the alarms of the nondescript Tehran warehouse, break through the doors and pry open the large safes that filled the room before fleeing the city with their treasure trove of smuggled documents.They did not take all the room’s contents, aiming instead for the black binders containing the most critical documents. Most of the documents obtained are at least 15 years old, before Iran moved its nuclear program deeper undercover. It is also impossible to independently verify what the whole trove proves, as Israel has only shown reporters some of the documents claiming that others must be withheld to avoid aiding rogue elements seeking intelligence on how to make a bomb. 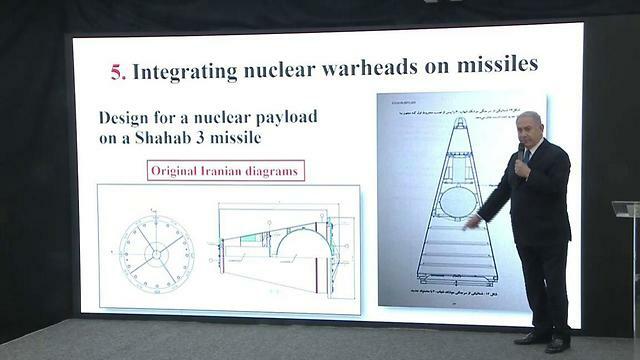 The papers do seem to indicate that Iran’s nuclear program in 2003 was much bigger and advanced than previously thought. That is when Iran ended its initial program, Project Amad, and proceeded more secretively. Experts agree that Iran received help from Pakistan, but other independent foreign nuclear scientists are believed to have been involved as well. One of the documents records a debate between two Iranian scientists on how best to separate the overt and more secretive aspects of the program. Neutrons research would have to be concealed as “we cannot excuse such activities as defensive,” a note by physicist Masoud Ali Mohammadi read. He was mysteriously assassinated in January 2010. 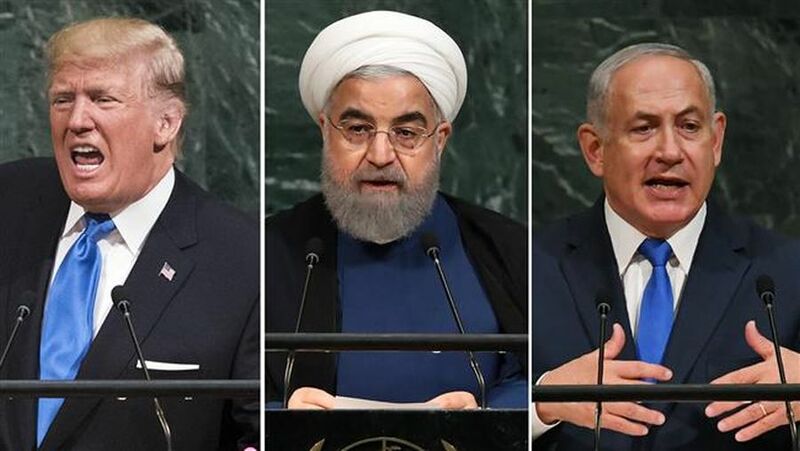 The New York Times writes that experts disagree on whether the Israeli revelations serve to support or weaken the case for maintaining the 2015 nuclear agreement between Iran and the world powers. Netanyahu argued that the nature of the agreement was naïve and would allow Iran to continue producing nuclear fuel in 2030. In addition, the extent to which Iran went to conceal its past activities from nuclear inspectors does not bode well regarding its future activities. Others, including former Obama administration officials who negotiated the deal, argue that the documents only further stresses the need to uphold the agreement and extend it for as long as possible. They say that the trove confirms what they had known all along but the accord forced Iran to ship 97 percent of its nuclear fuel out of the country; Iran would never have agreed to a permanent ban they say. The warehouse penetrated by the Mossad was only put into use after the 2015 agreement was signed. International inspectors would now be allowed to visit all known nuclear-related sites in Iran. 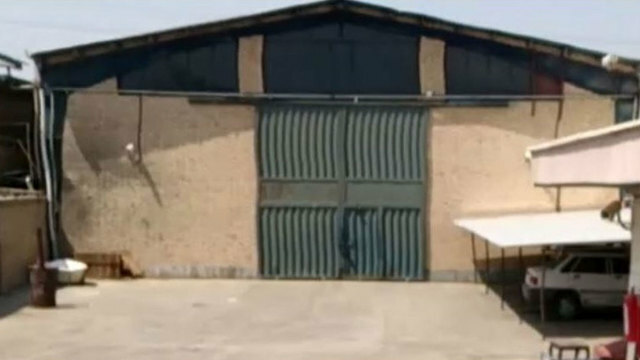 So the Iranians gathered together their secret documents with the weapons and missile building plans and stored them at the nondescript warehouse, unrelated to their past nuclear program. No round-the-clock guards were posted so as not to arouse the suspicion of spies. But the Mossad was watching and they began putting together a plan to steal, as opposed to merely photograph, the material. Israel also wanted to be able to counter Iranian claims that the documents were forged by allowing international experts to examine the originals. In the article Sanger and Bergman say that Israel has kept mum regarding how the agents, some of whom were Iranian, made their escape, via land, air or sea. There was no chase, they claim. Considering the possibility that some of the agents, perhaps about two dozen, would be caught, the material was removed from the country via several different routes. As expected, when the guards discovered the break-in in the morning and sounded the alarm, “tens of thousands of Iranian security and police personnel” embarked on a nationwide hunt according to an Israeli official. They did not catch anyone and Iran remained silent on the matter until Netanyahu’s press conference. Among the material are photographs from inside secretive nuclear facilities. 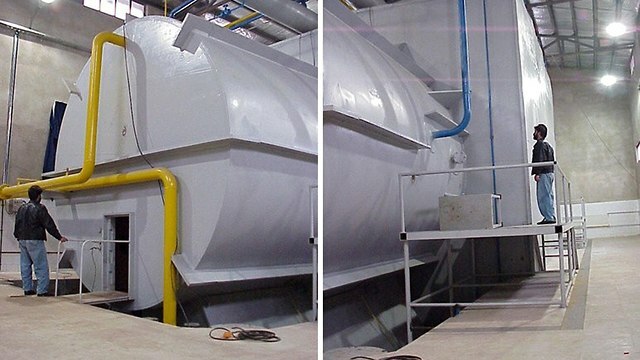 One album taken at Parchin military base near Tehran appears to show a large metal chamber meant to conduct high-explosive experiments, probably related to neutron-initiated chain reactions. 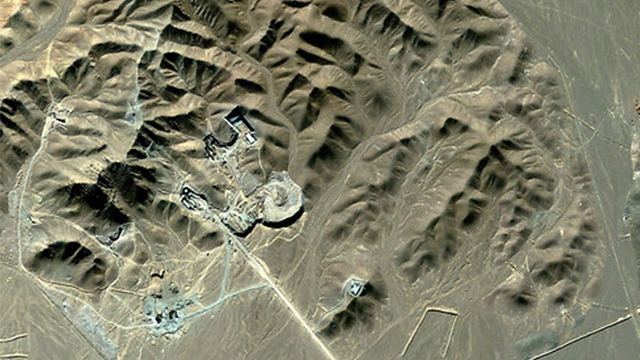 Although international intelligence agencies suspected nuclear activity at Parchin, Iran always maintained that as a military base it was off limits to IAEA inspectors. Eventually, inspectors did visit the base, but by then it was empty, although they suspected the site had recently been emptied of equipment. The photos confirm this. 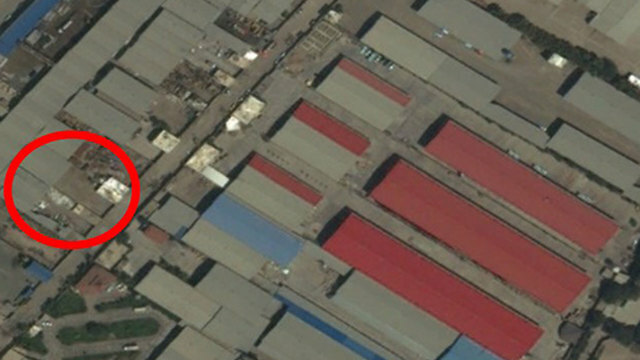 Satellite images show that before the inspectors’ arrival, Iranians even went so far as to remove soil from the Parchin base, fearing that it might contain traces of nuclear contamination. The documents contain multiple mentions of uranium deuteride, a substance experts say has no use other than for making nuclear weapons. It has been used by China and Pakistan in their nuclear programs and it seems the technology for the substance, as a neutron initiator, was sold to Iran, and North Korea, by A.Q. Khan, a Pakistani nuclear physicist who ran a black market in atomic-related materials and technology, concludes the New York Times article.